Well, I should say, I've been falling asleep to my Audible app playing in my headphones as I sleep (is that dangerous?) and her book, "Men, Women and Worthiness” has been speaking to me as I drift off. She’s an incredible author who has researched the areas of shame, vulnerability, empathy, and love for the last 15 years. This book, and so many of the other's she's authored, triggered a memory I had that still is with me today. It’s a story of my shame and overeating issues. I was in college, my Junior year maybe, and my girlfriends and I were all up at my friends' parents' beach house in Newport Beach, CA. Spiritually I felt a bit like a heathen and a harlot attending a private Christian school after having sown some wild oats in my high school days. Mentally, I felt largely inadequate as I struggled to achieve mostly B’s and some C’s in my Biochemistry major, while everyone else, who studied less than me, scored higher than me. Then, physically, I believed I struggled the most. I was a Colorado girl, tall, athletic, and curvy who was surrounded by a lot of SoCal girls who were beautiful, petite and small-framed. Naturally, due to my body insecurities during this time of my life, I was a workout queen. Sometimes taking 3 classes in a row at the local 24 Hour Fitness and training for some half and (almost) full marathons, a task that I now know does NOT fit my body type. My copious exercise routines, combined with the massive amount of stress of school, made me hungry like a Mrs. Pac-Man going rogue, especially on sweets. As we walked into the house in Newport Beach, we learned that my friend's mom had just had a birthday and there was some leftover cake…gooey, chocolatey, overly-indulgent, cake. Naturally, with something so decadent, most of the girls stopped at a few bites. But every time I sat down, all I could taste was chocolate and all I could think was, “Don't eat the cake, don't eat the cake..." Meanwhile all my feet and fork seemed to hear was, “Cake…cake... cake" and before I knew it, I would be up having a few more bites. Then a few more after that. My friend, in a failed attempt at whispering, said, "God, when is she going to stop eating that cake?" Que the spiral of shame. I pretended like I didn't hear it and just sat down. But, I was devastated. I wonder, do you have any memory like this? Where someone mentioned something about your eating or your weight and it just triggered deep shame in your eating? Maybe it was a family member? Maybe it happened in school? 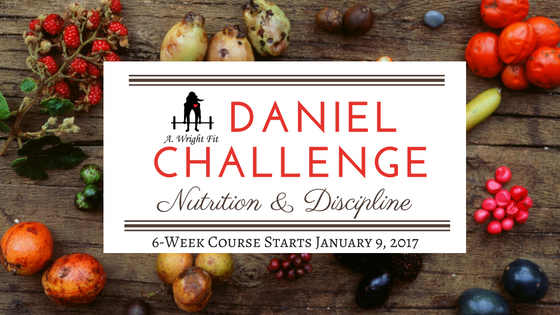 Something that made you want to starve yourself and hide? Or maybe a memory of someone making fun of your athletic ability and it forever changed your relationship with exercise? My guess is I bet you do. So many of us do. 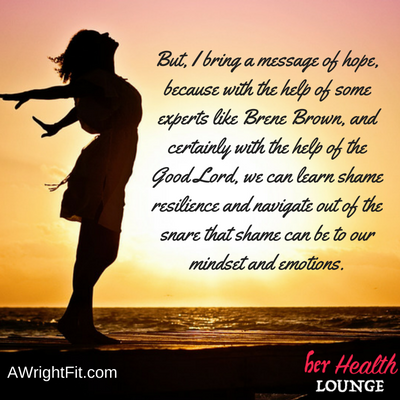 But, I bring a message of hope, because with the help of some experts like Brene Brown, and certainly with the help of the Good Lord, we can learn shame resilience and navigate out of the snare that shame can be to our mindset and emotions. So, how do you know if you're in shame versus guilt, humiliation, or even simple embarrassment? Well, Brene Brown says it all comes down to our self talk. What is that inner voice telling us when these circumstances arise? Let's take my example to walk through it. If my friend’s remark had triggered some thoughts like, "Oh my goodness, she's right. I'm totally out of control right now." Or something about the behavior, then this would be considered GUILT. Brene points out that guilt, while it's not an inherently positive thing to feel all the time, is capable of helping you correct bad behavior. You essentially have to feel guilt and remorse if you’re ever going to change. But the key difference is you focus on the behavior you're doing, not who you are as a person. Or, if on the night of my cake incident, if it has caused a self dialogue of, "I can't believe my friend just said that about me in front of all our friends! How rude is that?!" This would be a response of HUMILIATION. It's once again focused on the behavior of the other person or the event that offended you. Lastly, EMBARRASSMENT could have been triggered as well had I thought something like, “Ha! She totally got me. I am totally going to town on this cake huh?” It’s a more laughable, relatable feeling. Like, “I know I’m not alone in this issue,” kind of response. So as you read my story out right, you might know yourself well enough to know you would likely respond in one of the other, slightly healthier ways. And that’s the thing we all need to recognize and empathize in others, once shame is triggered, there’s no use telling someone how they *should* feel or respond, you need to move toward helping them (or ourselves) deal with the torturous shame and condemnation. For me, I vividly remember feeling like my friends had “found me out.” That all my dirty little secrets of being an out-of-control eater were not only out in the open, but were being judged by my closest friends at the time. I reiterated my self talk of always “being the fat friend,” and never being “strong enough” to control my eating. So, where does this lead us? Why would I share with you a story from over 11 years ago? Does it help anything for today? And my answer is YES, ABSOLUTELY. Because, what our past experiences help us understand is where the devil thought he had us. You see, Satan uses shame as one of his greatest tools to get us to turn a hide from God. 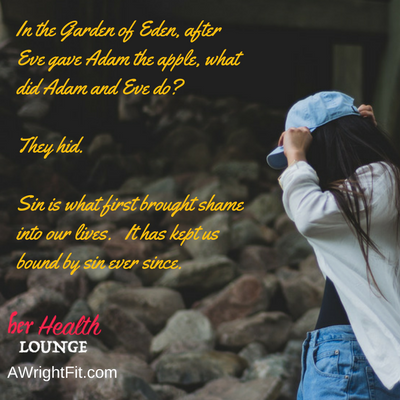 In the Garden of Eden, after Eve gave Adam the apple, what did Adam and Eve do? They were ashamed of their nakedness, and they hid. Sin is what first brought shame into our lives. It has kept us bound by sin ever since. Shame in our mindset serves as a stronghold. We are not thinking clearly of what the devil is trying to do to us, we are totally consumed by the muck of our thoughts and emotions. But, in hindsight, if we are brave and willing to address these memories, we recognize this an evil tactic and can start re-telling our mind the TRUTH of our memory. I had to repeat this scenario in my head and with great empathy, replay a healthier reaction based in the TRUTH of who I really am in Christ, not who the critic in my head is telling me to be. I can in some ways offer forgiveness to myself and let myself off the hook. I start telling myself that the choices I make DO NOT define WHO I AM. Only God can do that and God tells me that I am fearfully and wonderfully made. So, sometime soon, I think it would be really helpful for you to start thinking back on some old haunting memories and correct those thoughts that you were fooled into thinking before. Maybe journal them and pray over them. Ask God to help you seek the truth. When you break these strongholds with the truth of who you are in Christ, “Then you will know the truth, and the truth shall set you free." And when we are free, we'll be free indeed. So, I'd love to hear from you on this one. 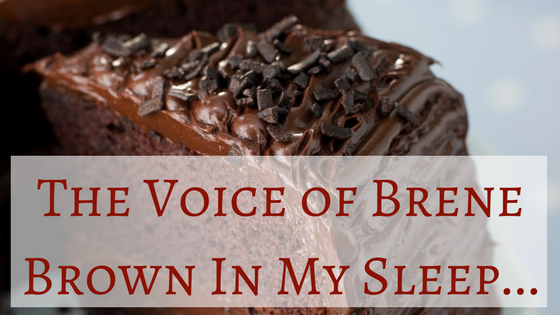 Sharing these vulnerable stories are always a bit tough....can you relate at all?